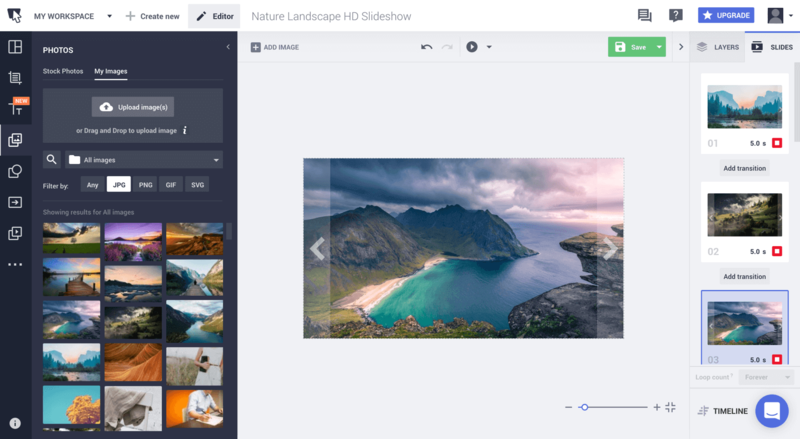 Create slideshows within minutes without any design skills. 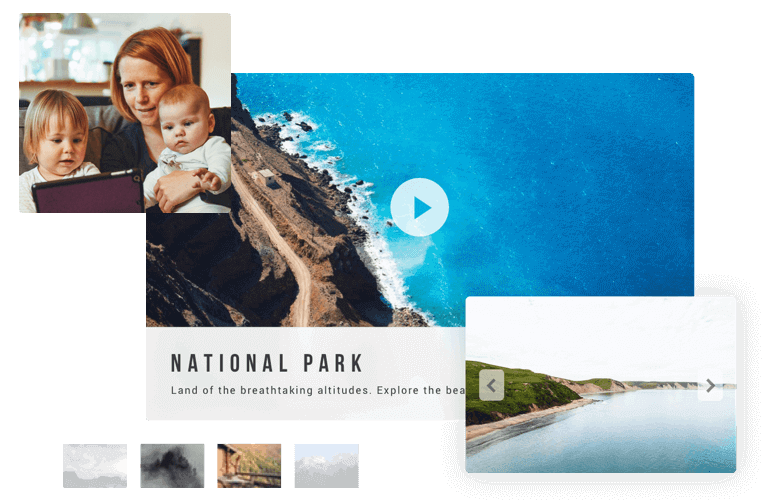 Make your own slideshow presentations and grab the attention of your audience. Use our simple and intuitive visual interface to animate your slideshows. 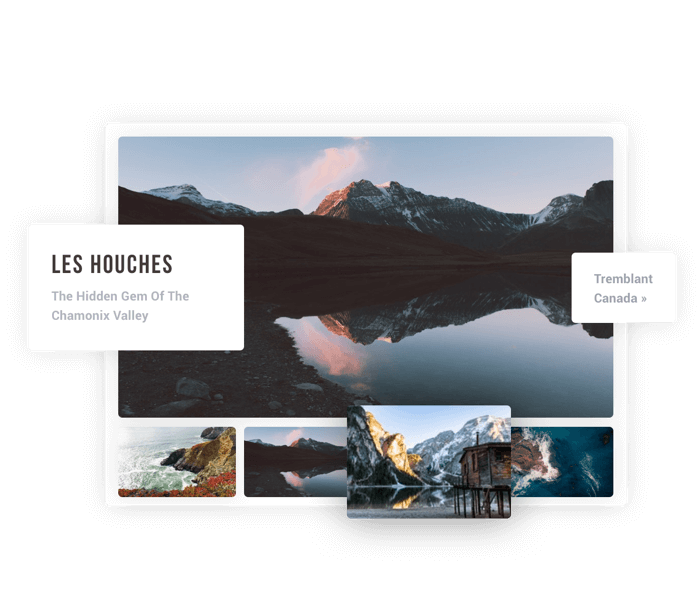 Animate your elements, add smooth transitions between slides, and give your slideshow a more professional look. No coding skills required, just simply drag and drop your pictures or visuals into our slideshow maker. Upload your pictures, photos or illustrations and create photo slideshows that you can share on any social media network, or download them in HTML5, video MP4 or GIF format. Bannersnack offers you an advanced editor that allows you to add texts, shapes and even videos. Edit all individual elements of your slideshow, not just your photos. Create responsive image sliders and upload or embed them on your website or blog. 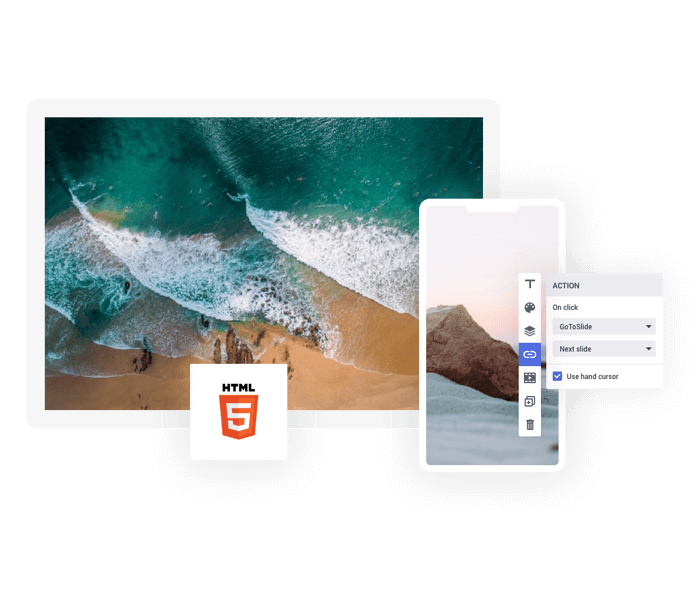 You can export your carousel slider in various formats including HTML5, making your sliders responsive and adaptable to any device. Create intricate HTML5 slides by adding on-click actions to any element or slide. 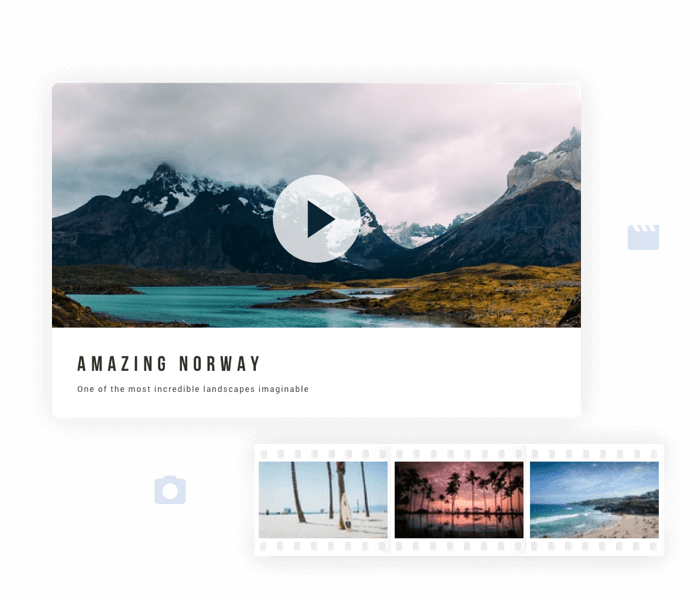 Creating video slideshows has never been easier. After you are done animating all your slides, just download your work as MP4 and... that's it! Exporting your slideshow to MP4 video format makes it easier for you to upload it on social platforms such as Facebook or YouTube. 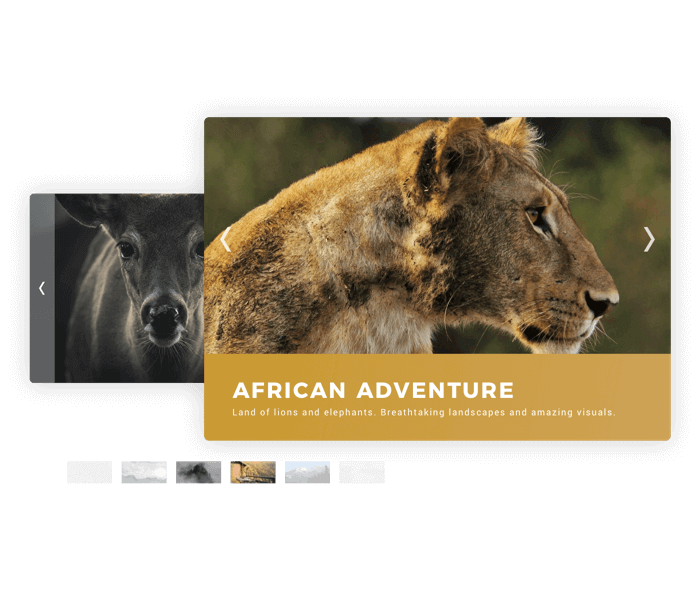 Bannersnack offers ready made slideshow templates including HTML5 responsive carousel sliders. Simply upload your own pictures, add texts or new slides, and your slideshows are ready to be used on any website or blogs. Our slideshow examples are designed and created by professional designers. Create an account today and make your slideshows for free. Just upload your PNG, JPG or JPEG photos to create beautiful photo slideshows, image sliders or photo albums for your website, blog or business.